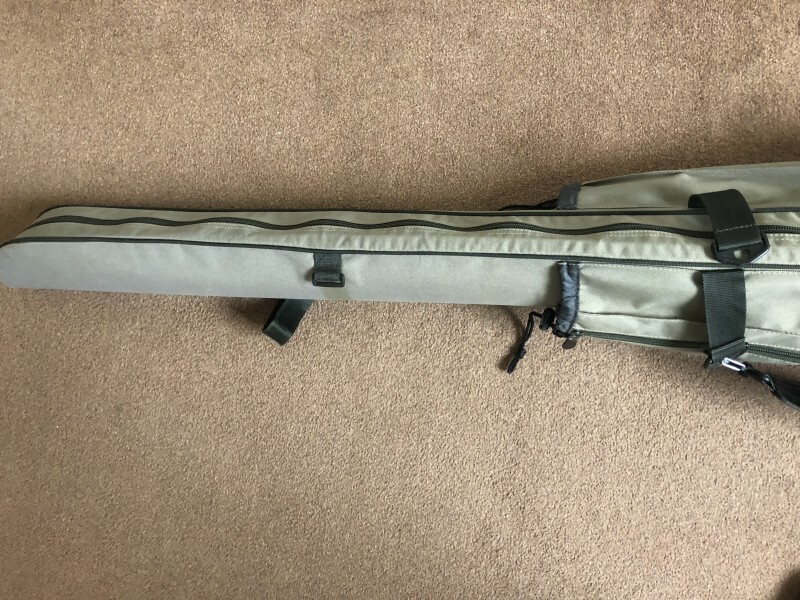 Great barbel rod hold-all as fits 2 made up 12’ rods internally and then has 2 outside pockets for banksticks and landing net plus a pocket and strap system to hold an unblrella as well. 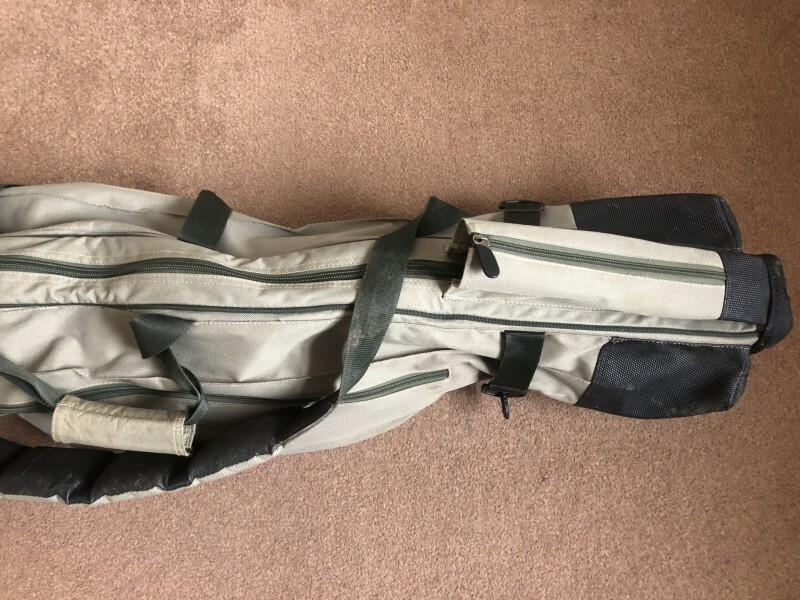 Condition is used so there is some fading to the fabric from the sun and some mud marks also bit there are no rips or tears and all zips are working perfectly. Collection Banbury OX16 area.